Bikers are organizing an anti-Islam protest outside of a Mosque in response to the Garland, Texas shooting. 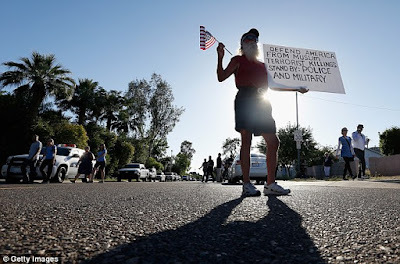 On Friday, May 29, 2015, a group of bikers in Arizona plan to host an anti-Islam demonstration outside of the Islamic Community Center in Phoenix. 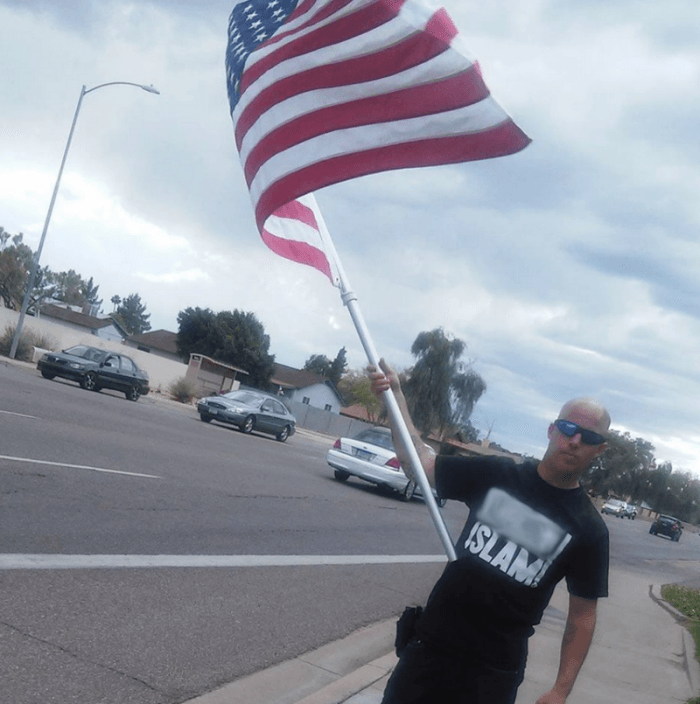 They plan to take the images of Islam’s prophet to the Islamic Community Center at 6:15pm that evening a time when the Muslim community is expected to gather inside. 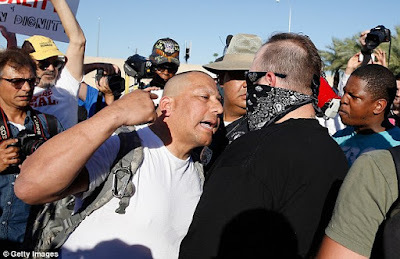 The Draw Muhammad contest organized by Jon Ritzheimer in Phoenix, Arizona led to angry clashes between protesters and counter-protesters . 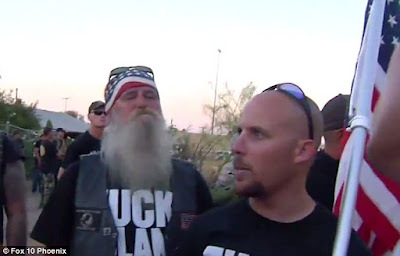 'Of course I'm a believer in free speech and the First Amendment. 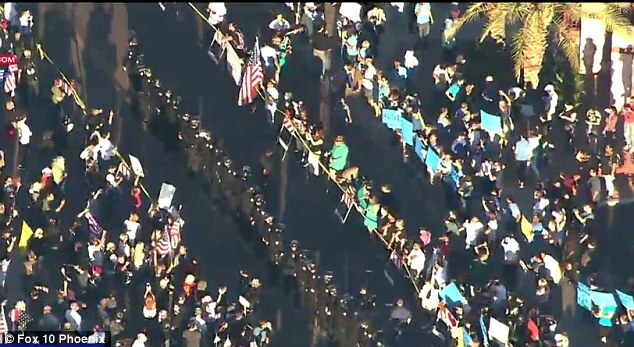 I'm also a believer in good judgment and common sense,' said Ducey. 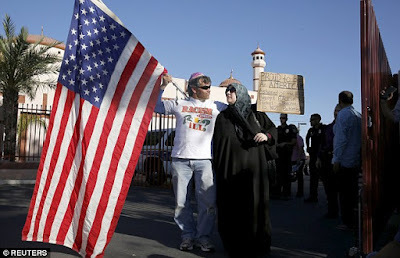 Ritzheimer selected the site of the contest, the Islamic Community Center of Phoenix, because Elton Simpson and Nadir Soofi attended the mosque. 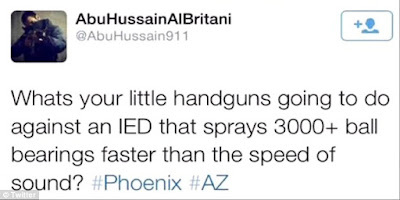 ISIS is calling for lone wolf attacks on the Ritzheimer who planned the Draw Muhammad contest in Phoenix. 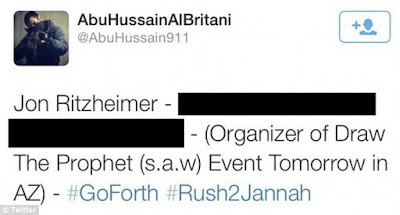 Members of the terrorist group have taken to social media and posted the home address of Jon Ritzheimer, the anti-Islam creator of the event that had close to 1,000 in attendance. 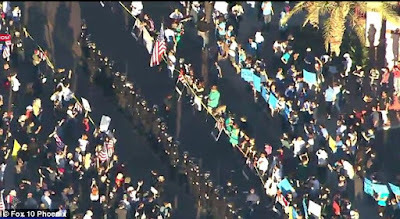 The event is currently going on.